Today, I am going to explain to you what Hi Key and Lo Key images are and how you can use them as tools to set the tone of your image. Now, the Star Wars metaphor. I am a big Star Wars fan, but I realize not all of you are, so I will give a little background. In Star Wars there are these characters called the Jedi. They have the ability to channel this power called “The Force” Now there are two sides to the force. The good or light side and the evil or dark side. Luke Skywalker is on the good side and Darth Vader is on the dark side. I could go on and on, but I will stop. 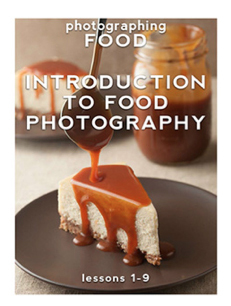 So you may be wondering, what does this have to do with taking pictures of my food? Good question. Now let me explain what Hi Key and Lo Key are and then I will connect the two ideas. Lets start with a Lo Key image. A Lo Key image is one where there is a lot of contrast in the shadows. Traditionally they will have a darker background and emphasis is put on the contrast. (An explanation on shadow contrast and controlling it) THIS DOES NOT MEAN AN UNDEREXPOSED IMAGE. You can’t just under expose an image and call it lo key. The subject is still exposed properly, but you are emphasizing and increase the contrast of the shadows. As you see in the lighting diagram, i am using a normal side lighting set up that I have shown you several times. Instead of filling in my shadows with a white fill card, I am using a black subtractive card. I am using the black side of my 5 in 1, but you could use black poster board, or a black piece of paper. The black material will absorb the light and in crease the contrast on the left side of the jar. A Hi key image is the opposite. The image is bright, usually has white as the background color and has very little shadow contrast. THIS DOES NOT MEAN AN OVER EXPOSED IMAGE. Overexposing an image and calling it Hi Key doesn’t work. Yes, you can over expose some of the white background, but the subject still needs to be exposed for correctly. An over exposed subject never looks great. To decrease the shadow contrast, I am using a piece of white foam board as a fill card to decrease the shadow contrast between the left and right side of the jar. Now that you know what the Force is and what hi key and lo key are, time to connect them. In Star Wars, Jedi Knights usually take to one side of the force. They are either on the dark side or the light side. (I will get to good vs evil in a second). This tendency to choose the light or dark side occurs all the time in photography. 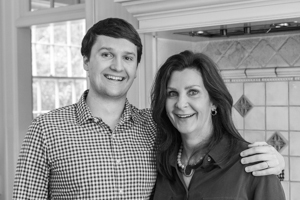 When photographers are developing their style, they tend to gravitate to Hi Key or Lo Key. Personally, I tend to go more the Hi Key direction. This is neither a right or wrong choice of which side you go to. What is important is that you are able to do both. Think of it this way, If you are a Jedi who has complete mastery over both sides of the force, wouldn’t you be pretty powerful? Well if you are able to master both hi key and lo key images and use them when you choose to, you are only a better photographer. Like every new skill you learn there is a time and a place to use it. What is important is that you are making a conscious decision to choose that and not doing it at random. Remember we are trying to Make photos, not just take them. The light side (Hi key) side of the force represents good in the Jedi world, well in the photography world think of it more as light, airy, happy, clean, new. Something along those lines.Lets look at our hi key image again. Do you get those emotions or feelings from it? What other feelings do a hi key image convey to you? The dark side (lo key) of the force represents evil. In the photography world, this represents heavy, dramatic, dirty, raw, old those kinds of emotion. Lets look again at the low key image. Different emotions with this set up? All I changed in the two pictures was the background and what type of fill card I used. 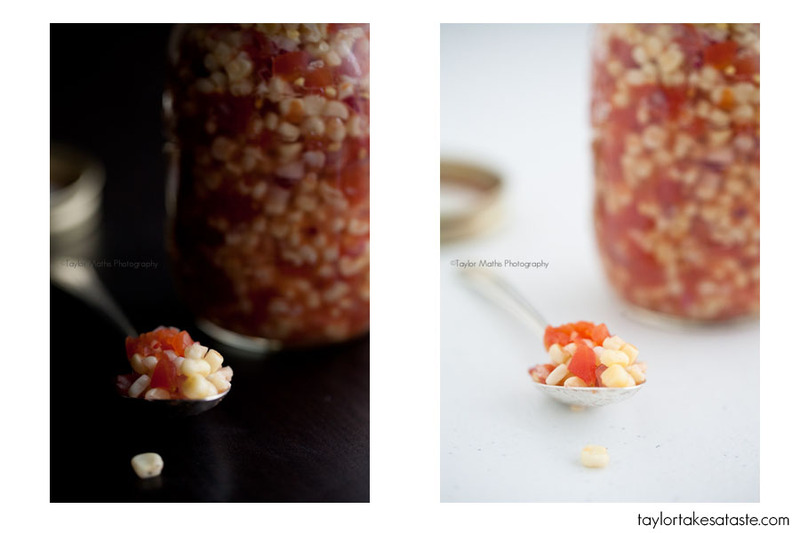 It is the same corn relish, same jar, same spoon. Changing the background and shadow contrast gives the two images completely different feels. Mastering Hi and Lo key images takes practice and every shoot will have a different use for them. Today was just an introduction to the topic. If you generally shoot hi key, try some lo key and vice versa. I have started to develop an interest in the dark side, and plan on using it more in the future. I almost forgot. 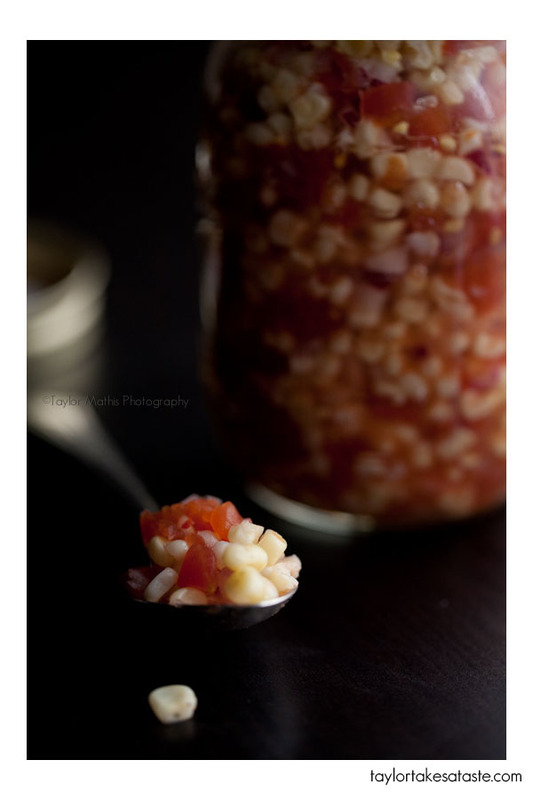 Here is the recipe for the tomato and corn relish. Using a knife, remove corn kernels form the cob. In a large bowl, place the corn, tomatoes, and onion and mix together. In a smaller bowl, whisk together the vinegar, sugar, salt, dry mustard and pepper. Pour mixture into large bowl. Stir. Store in the refrigerator. This is great with BBQ chicken or in a salad. « Fireworks and Ice Cream Sandwiches! Lovely tutorial and lovely recipe. I bet the dry mustard powder makes the relish great. Can’t wait to try it! Thanks Christina! Its pretty tasty! I’ve been wanting to play around with shooting in more of a moody, dark side setting. Another great and informative tutorial! Thanks Taylor! By the way, the relish looks delish! 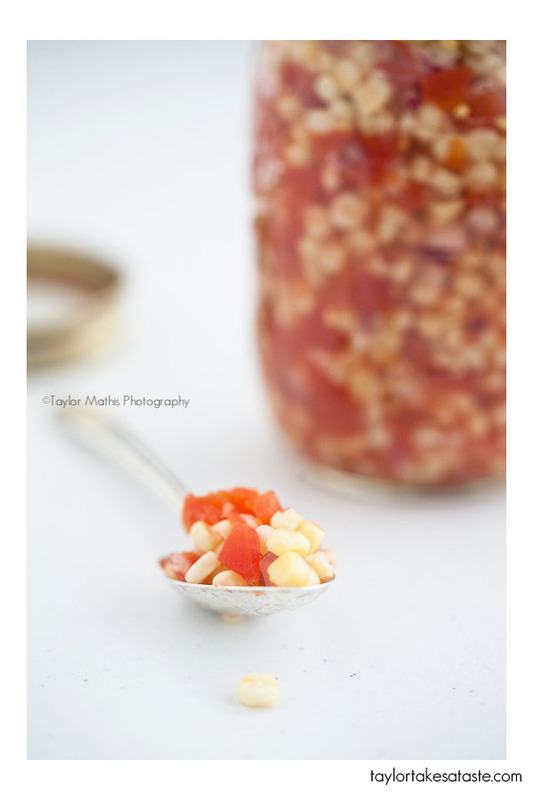 I’m a big fan of corn in my salsa and relish. I really think these tutorials you give are so helpful – some of the best I’ve seen. They are informative without being too much to take in and without getting all techy and photo snobby on us. Thank you for doing them! Thanks Kelly! I am so glad that you are finding them useful! Let me know if there are any topics you wish to see! I’m starting to really like the dark moody shots. They definitely have a different vibe. Great tutorial. Thanks so much, Taylor. I love the way you explain things; you are becoming an enormous help to my work and I appreciate that you are sharing your knowledge. May the Force be with you. Hi Taylor, thanks so much for this clear, concise, (and amusing!) description of hi key and lo key. I am really interested in trying out some of those low key techniques to expand the types of photographs I take, and especially seeing your setup was really helpful. Thanks!! Lol love the Star Wars reference and great demonstration of light and dark settings and how they affect the mood of the photo. Thanks! So glad you found this helpful! Great tutorial. Nice recipe too 😀 Thanks for sharing and I look forward to trying both! 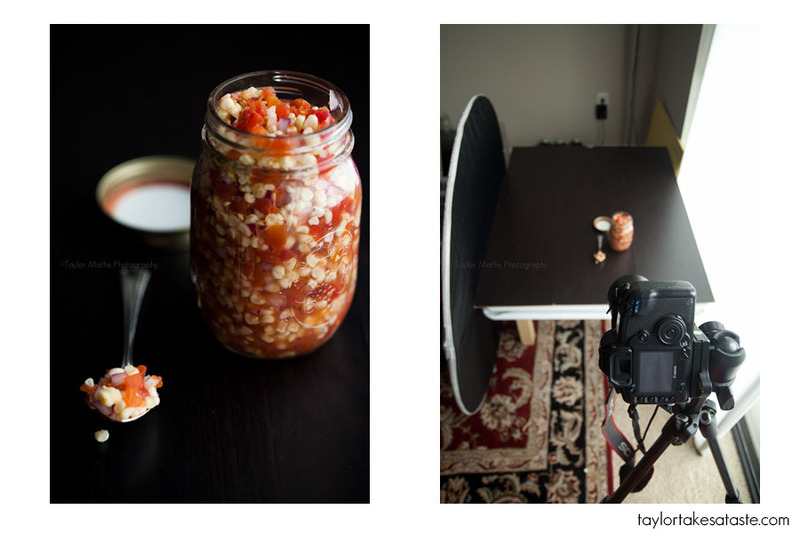 Taylor, I found your site about a month ago from Jessica @ HowSweetEats. I love your site! 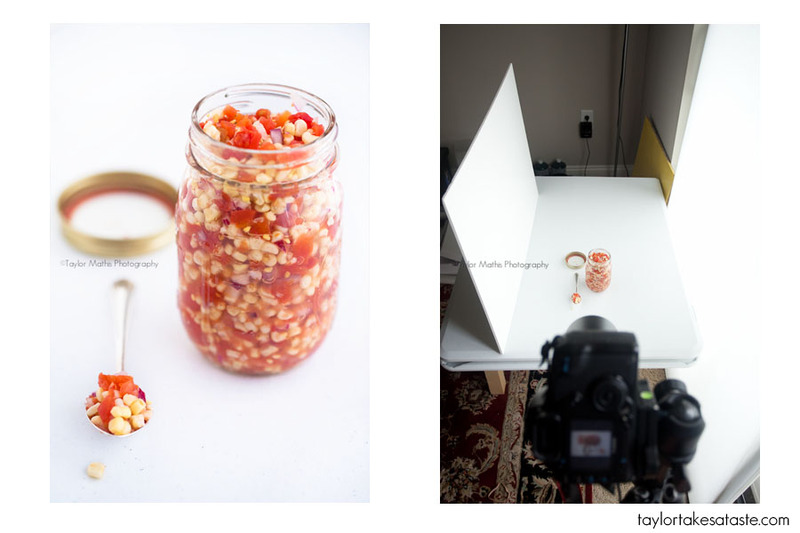 I am in the process of creating my own food blog and you have given me so many helpful tips about food photography. I have told everyone I know about your site! When I saw this post about “Star Wars” I was really sold! 🙂 Thank you for not being stingy with your ideas and sharing them in your blog! I continue to love the photography tutorials and primers. Keep them coming! Great star wars reference. And I agree with others that your tutorials are great. You have a great way of explaining in simple but very informative way! I’m used to taking photos in Hi key but now I think I will try to explore the DARK side!